A gamer's most valuable possessions should always be protected! 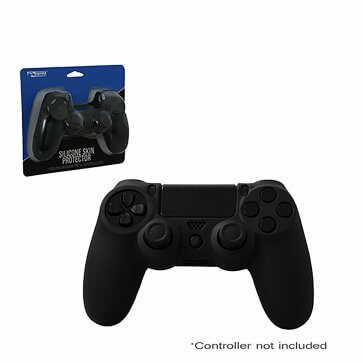 The KMD® Silicone Skin Grips for PS®4 controllers provide protection from dirt and scratches caused by everyday use while the non-slip surface provides better grip to enhance game performance. The precisely fitted skin design is easy to apply and allows easy access to all buttons, controls and ports without ever having to be removed. Give your controllers a new reason to last!